That 3-pixel leeway is a really nice idea! Love the art style, this looks really good. Just saw a post on twitter about this. The game is looking fantastic! Out of curiosity, have you already found someone(or people) to make the music to your game? Some are lovers, others are fighters. If there's a dialogue system, there needs to be a "Say nothing" option. That way Shadow-kun might have a change at being the Strong Silent type. That's a genius idea! You'd get the secret best ending by staying in character, which is always choosing the dialog option "..." or "throw shuriken"
TBH, Ive registered to comment here but i suprised that community betten than FB GameDev Group. To OP, if u dont mind telling me the character sprite size, level tile size and what engine this game is made? Uh. So that's at the very least a real mini-game, right? This is looking awesome. My favorite arcade game is Shinobi. I've been following the progress of this game for more than a year. I'm a NES junkie and really think that this game has potential, perhaps even more than Shovel Knight. However, there hasn't been any news for months. Is the developer still working on this game? I really hope so. i've made my own NES game for Android for those who want to check it out: https://play.google.com/store/apps/details?id=com.bitmojo.games.mineescape. It's completely free and without ads. 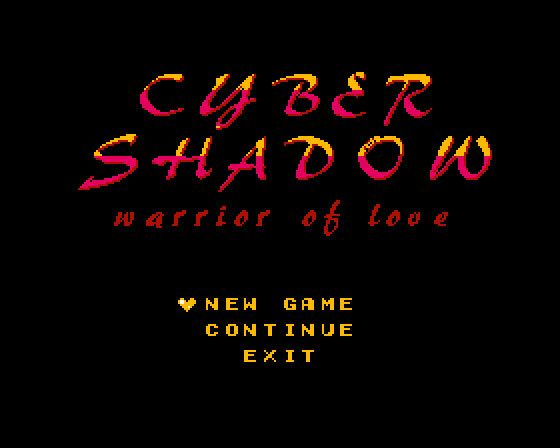 Cyber Shadow is gonna be published by Yacht Club Games (yes, the same people that developed Shovel Knight) and it's soon gonna be released on Switch, PS4, Xbox ONE and Steam! congratulations on getting a publisher. in this time of great joy for you i would like to reiterate what i said on page 3: this looks cool as hell and the gg shinobi rules. This looks [email protected]#$ing amazing and getting Yacht as a publisher is HUGE. Congrats! Congrats on getting picked up by Yacht Club!!! 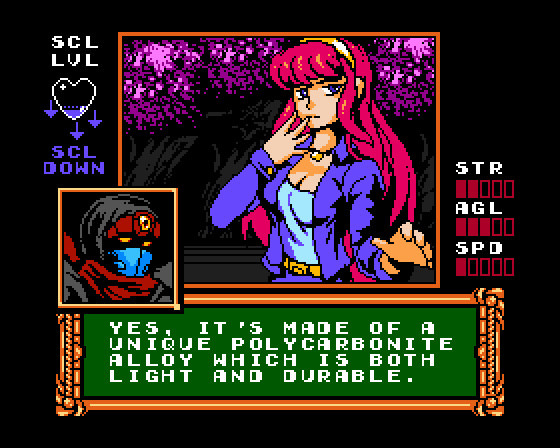 We’re very proud to announce Cyber Shadow, the newest project from Yacht Club Games. Developed over the last decade by Aarne Hunziker and over a year being polished under our watchful eye. What's the deal with Yacht Club "picking" you up? You apparently worked on this game for a decade, then they came in to release it. Why don't you publish the game yourself and get paid more? i wonder what yacht club games could offer the developer of a long term labour of love project that primarily revolves around nes style platforming. it's a mystery that may never be solved. sorry that was unnecessarily rude of me. yacht club games have a built in fanbase with a reach and ability to market directly to the target audience of this game, as well as valuable understanding and input into the back end workings of a game like this and experience supporting multiple releases and platforms. for a one man or small team taking some of that load off can be invaluable, and for someone looking to make money, getting more people to potentially give you that money is potentially a better strategy than hoping you get noticed naturally. I thought of all of this too, but still, 10 years in the making... I at least hope he got a good deal out of it. I think the game would have been noticed eventually. Good games get noticed. Cave Story didn't need something like Yacht Club Games to promote itself.